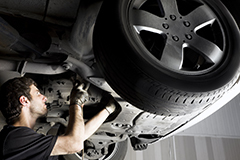 How often should my vehicle be serviced? It is advisable to service your vehicle every 6 - 12 months, or 6-12,000 miles, whichever is sooner. We offer 3 types of service which can be carried out using quality parts without invalidating your manufacturers warranty. What is included in a service?